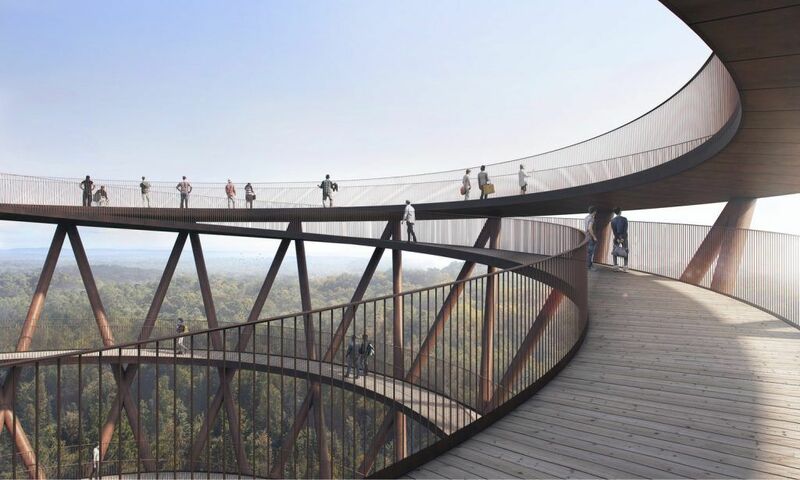 Copenhagen based architectural company EFFEKT has released plans for a walk that winds its way through the preserved Gisselfeld Klosters Skove forest, just an hour south of Copenhagen. 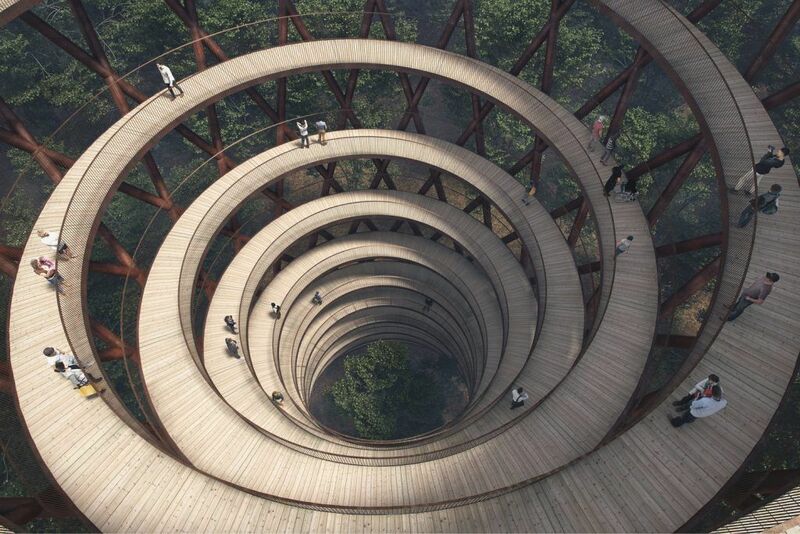 It’s essentially a skywalk through the trees which ends in a spiraling ramp above the canopy. The path was designed for everyone to enjoy, regardless of physical condition. While it may take away some of the fun for more rugged trampers it gives everyone a way to enjoy crossing creeks and wetlands. 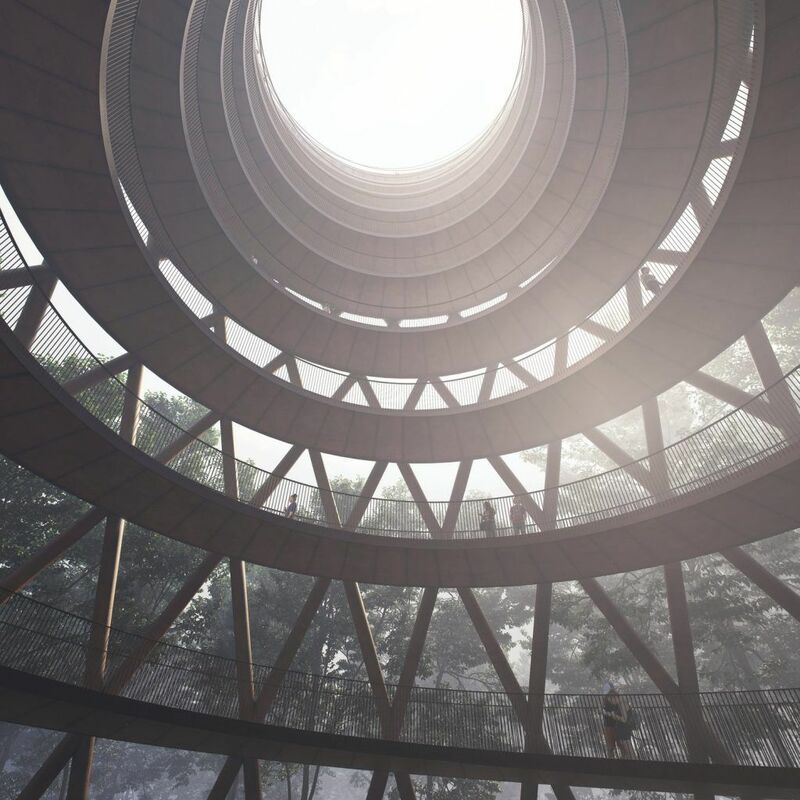 The600 meter path also has features and activities along the way including “pit stop” areas where the path evolves into a natural amphitheater layout which gives people a chance to stop and appreciate the environment. The crowning piece is of course the observation deck which spirals 45 meters above the ground, giving amazing 360 degree views. Its concave sides allows trees to grow and hug closer to the structure itself. Now I’m wondering if this would have been a more effective countermeasure against Kauri dieback than little squeezy bottles at the start of tracks.